» Understanding NREM and REM Stages Of Sleep. The Sleep Cycles with Fascinating Facts. 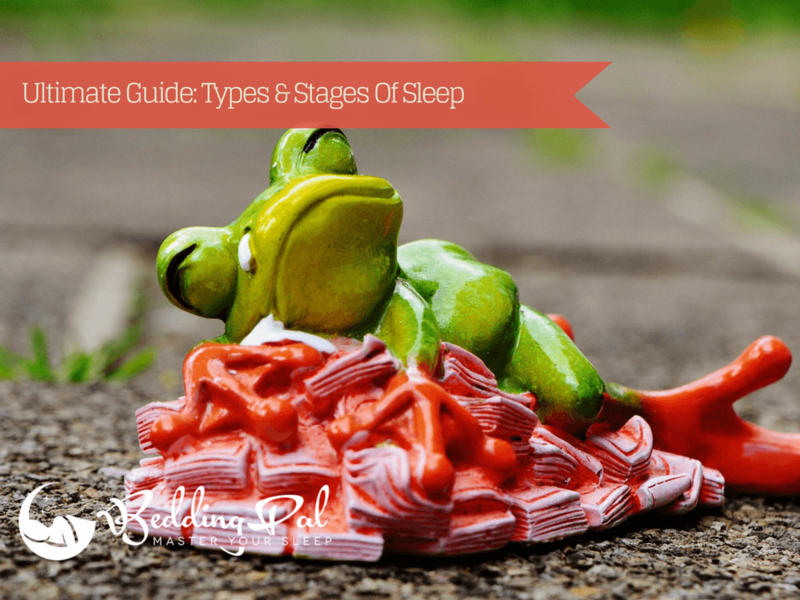 Understanding NREM and REM Stages Of Sleep. The Sleep Cycles with Fascinating Facts. Even though we all sleep, and we’ve done so since we first laid foot on this Earth, the mechanism is still obscure and unfathomable to scientists. Sleep is more complicated than we ever thought. For instance, did you know that a total of six organs are engaged in falling (and staying) asleep- the brain stem, the basal forebrain, the thalamus, the amygdala, the hypothalamus and the pineal gland play crucial roles in our ability to sleep. Another less known fact is that sleep is not a linear process. There are five distinct stages of sleep. These stages were unknown before the invention and use of the electroencephalographic (EEG). This type of recording allowed scientists to observe the changes in the activity of the brain when sleep was initiated. Thanks to them, we know the structure and framework of this state in which, apparently, we spend one-third of our lives. Let us take a closer look at each of these stages and explain them briefly, in an easy-to-understand manner. It is the very first stage of sleep. It is also called “hypnagogia,” although ordinary people are not familiar with the term. Or with the term of “NREM sleep,” for that matter. It takes place when a person transitions from wakefulness to sleep. Depending on the individual, this first stage can take anywhere between 1 minute and ﻿5 ﻿minutes. To put it simply, Stage 1 NREM happens when you get drowsy, and your mind seems to evade your ability to control it, in spite of the fact that you can be aroused back to wakefulness by the tiniest of sounds. The first stage is correlated with benign hallucinations (be them sensory or auditory), synesthesia, the apparition of phosphenes (those little, strange orbs of light you see when you rub your eyes) and, in some cases, with sleep paralysis. Moreover, during the first stage, your blood pressure, eye movements and breathing are slowed down, as the brain accommodates with the transition to respite. Alpha waves characterize stage 1. These occur when the body is starting to relax. In Stage 1, the brain is giving off alpha waves, but in Stage 2 it is dominated by theta waves. These occur when the body is completely relaxed, and dreamy imagery assaults the brain, and it prepares to lay the ground for the next stage. It is interesting to mention that theta waves are present in daydreamers, as well, which could hold vital importance to understanding sleeping and dream. The second stage of sleep can last up to 25 minutes. Even though the brain is extremely relaxed and basking in theta waves, higher frequencies are spiking now and then. These are known as “sleep spindles.” It has been theorized that sleep spindles are critical to the consolidation of memory. The K-complex is a similar feature of the brain during the 2nd stage of sleep, but it has an even higher frequency than the sleep spindle. The K-complex accounts for the fact that the sleeper is harder to arouse back to wakefulness by outside stimuli. But there’s more to the K-complex than we know as of yet. An article on the subject showed that it could just promote a deeper sleep since it occurs in the second stage of sleep and transitions the brain to the third. Stage 3 is already deemed as deep sleep, the state in which you have to shake someone for a couple of minutes to wake them up. It features low-frequency delta waves. Brain activity, heart pressure and breathing decrease even more. At this point, one is truly “asleep,” in the literal sense of the word. Oddly enough, it is not in this deep sleep state that we dream. Although the brain is replete with activity and delta waves, it does not produce dreams. Stage 4 differs from Stage 3 in just one respect: the activity of the delta waves is increased. This last NREM stage lasts for more than half an hour (approximately 40 minutes), but this depends on the person’s sleeping habits. In performing an EEG, scientists have discovered that rushes of delta waves dominated more than half of the entire record. A fascinating fact that is worth mentioning is that when Stage 4 draws towards its end, the cycle of sleep actually reverses. Therefore, it goes back through all the four stages. This reversal is a stage of sleep in itself, the very last of them. It is also the one that has gotten a tremendous load of attention from sleep researchers and scientists, because it is the most fascinating, and simultaneously most baffling, out of them all: the REM stage of sleep. As shown before, REM stands for “Rapid Eye Movement.” The most prominent features of this last stage are the abundance of dreaming and the lack of strength in one’s muscles. All mammals have REM sleep. Before 1953, this stage of sleep was not known. Nathaniel Kleitman coined the term in the year above, after making sure connections between dreaming and this unique stage of sleep. While in this state, the brain behaves as if the person was awake. There is a lot of activity going on inside one’s head during REM. The body, on the other hand, is still under the shackles of sleep, in a state of pleasant paralysis. Nowadays, there is a lot of information concerning the REM, but its function is still somewhat of a mystery. One of the most ground-breaking hypothesis is that we have a virtual reality program/software written in our genes and that REM is the state in which the brain as if it were a conscious being on its own, trains us for coping with reality when waking up. This theory was brought to light by J. Allan Hobson in an article published in the Nature Reviews journal that specializes in neuroscience. This phase of sleep is called “rapid eye movement” because it is characterized by quick, chaotic movements of the eyeballs (linked to dreaming, and possibly blinking in that ersatz reality). REM is also marked by plenty of theta waves activity. We are still trying to understand how REM sleep functions. One thing, however, is sure: it is in this phase that we dream most vividly. People that are aroused to wakefulness from REM recall their dreams in minute detail, in comparison with those that are allowed to sleep through it. It sounds ludicrous, but dreams are hallucinations so powerful that they compete with reality. In this light, REM is a far more potent tool of the brain than we ever thought. It makes our brain “create” ex nihilo (from nothing) worlds that we can experience while sleeping. An article in Neuroscience. 2nd Edition offers yet another interpretation of the function of the REM phase of sleep. Supposedly, REM could be the brain’s means of deleting faulty information, a process of “unlearning,” as it is stipulated in the article. Obviously, this is just a theory. Certain similarities were discovered between REM sleep and tonic immobility, a device used by various mammals to feign death and escape potentially deadly threats. In other words, the body becomes rigid, as if it were stricken with rigor mortis, but the brain is perfectly fine. Tonic immobility is also what the brain uses to erase individual traumas and prepare the mammal (including the human) for coping with those traumas upon waking up. REM sleep can occur 3-4 times or even more in one night, as the brain regresses and progresses time and again through all the previous stages of sleep. It is safe to say that the real purpose of REM sleep is less likely ever to be discovered. In the same fashion, we would not be able to function properly without this phase. Sleep does not remain unchanged throughout a person's lifetime. 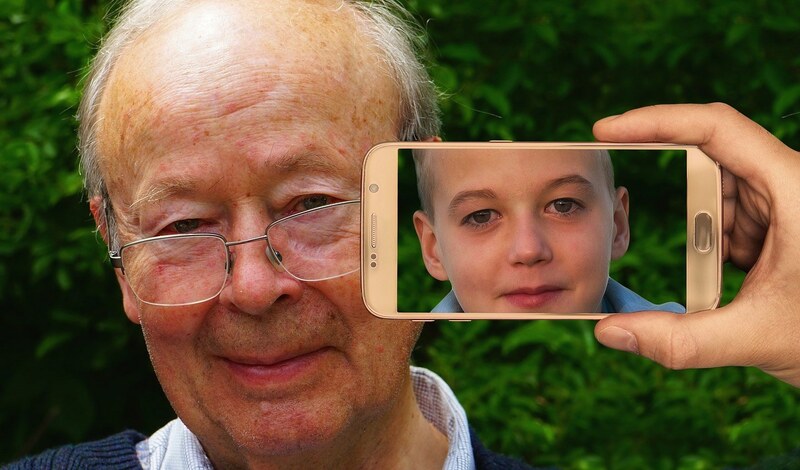 Every stage suffers certain changes with growing age. As we all know, older people have different sleeping needs. They tend to go to sleep at an earlier hour than they used to work when they were young. But, on the other side of the spectrum, they also tend to wake up earlier. It is perfectly natural and it’s the brains’ mechanism of keeping the body well-rested. The brain starts building its pacemaker. Therefore, the circadian rhythm remains pretty much the same, even though the time of going to sleep and the time of waking up are reduced with approximately an hour. It only applies to adults. Teenagers still enjoy the full benefits of sleep (in spite of the fact that technology has had an impact on their sleeping). The elderly experience less adequate sleep, due to the variety of disabilities they are prone to suffer from, as outlined in this research article. To conclude: sleep evolves at the same pace as we do. It is natural, and it should come as no surprise that, as we progress through the years, our sleep can become scattered. The body gets tired a lot quicker than it used to, subsequently, requires more sleep to regain enough energy to keep on going without too much hassle. Whereas the four stages of non-REM sleep are easy to understand and study, the last phase, the REM sleep, is much of a mystery, decades after it was discovered. Of course, as one might expect, the connection between sleep and dreams, REM sleep, in particular, is unbreakable. Decades ago, Jung launched his framework for studying dreams from a psychoanalytic point of view. Even though Jung might have been right most of the time, dreaming is still one of the greatest enigmas concerning the human being. It stands to show that sometimes, the unconscious can be so much stronger than the conscious. Sleep allows us to do things we could not do while awake in this reality. It makes it possible to build, destroy and travel while standing completely still. Go to homepage to read more interesting facts about sleep.